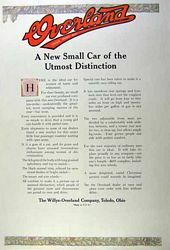 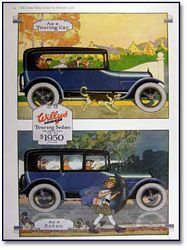 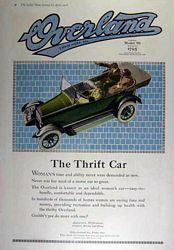 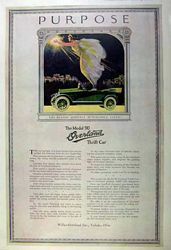 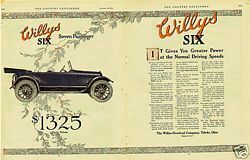 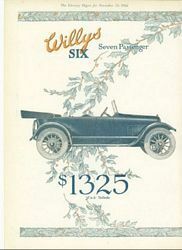 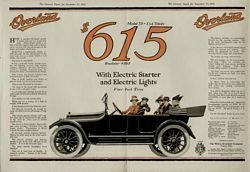 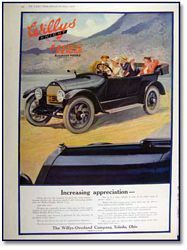 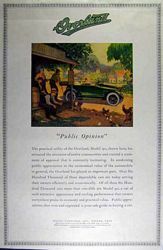 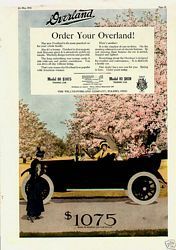 Classic Ads - Old Car Ads Willis-Overland - classic Willis-Overland Car ads. 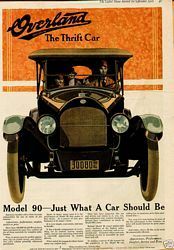 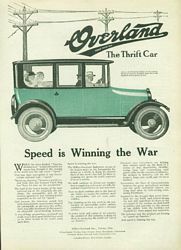 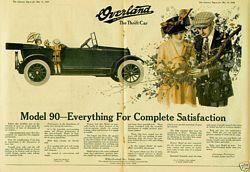 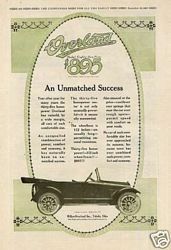 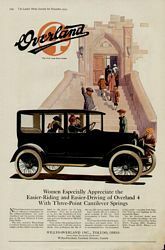 The Overland Co. was a United States based automobile manufacturer. 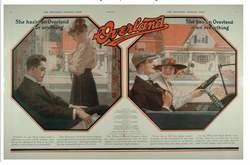 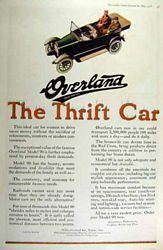 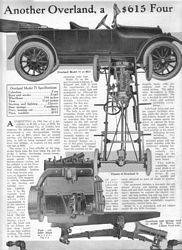 The Overland Automobile "runabout" was founded by Claude Cox, a graduate of Rose Polytechnic Institute, while he was employed by Standard Wheel Company of Terre Haute, Indiana in 1903. 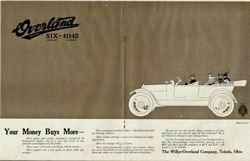 In 1905 Standard Wheel allowed Cox to relocate the Overland Automobile Company to Indianapolis, Indiana and he got a partner. 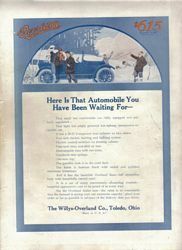 In 1908 Overland Motors was purchased by John North Willys. 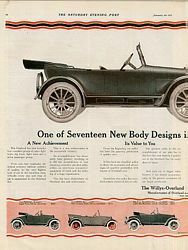 In 1912 it was renamed Willys-Overland. 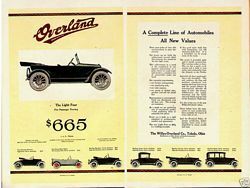 Overlands continued to be produced until 1926 when the marque was succeeded by the Willys Whippet. 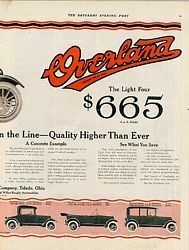 The last vestige of the Overland automobile empire remains in the form of bricks spelling out "Overland" in the smoke stacks at the Toledo factory that once formed the core of Willys automotive empire.